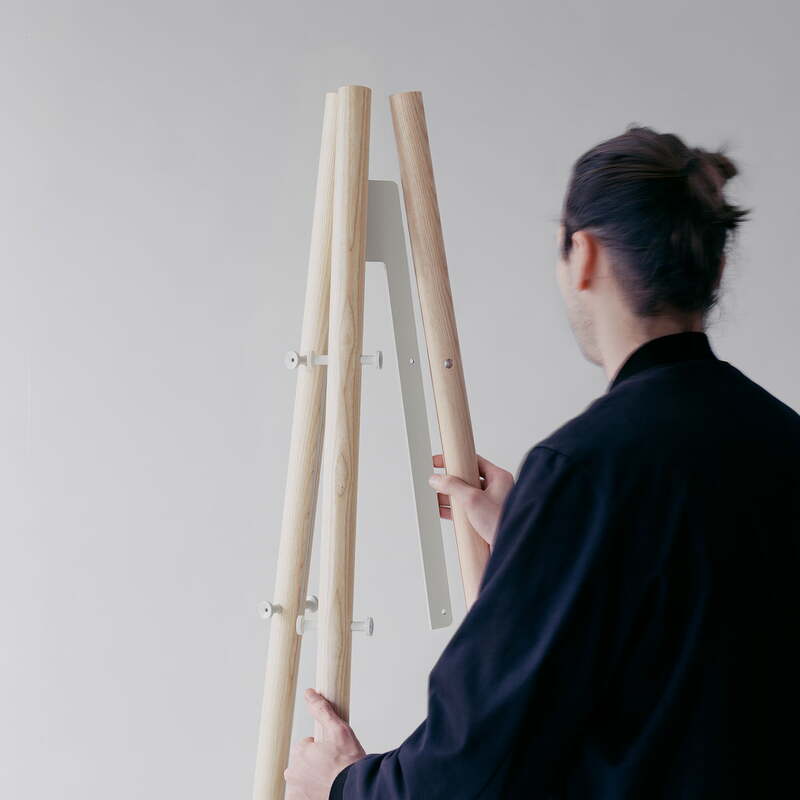 The Kiila coat rack is a design by Daniel Rybakken for the Finnish manufacturer Artek. 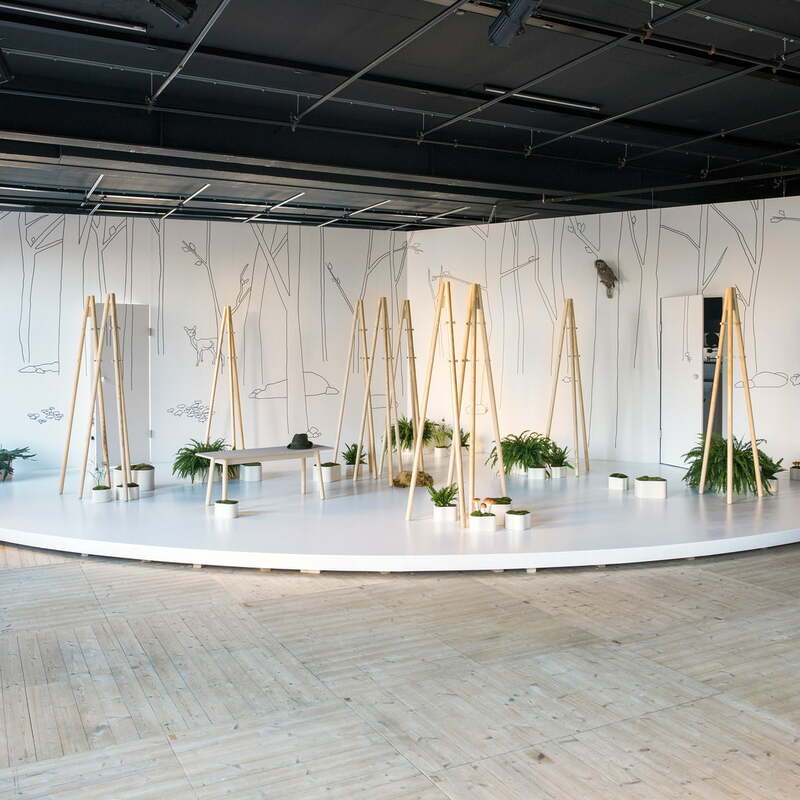 For Rybakken, the challenge was to create objects that blend harmoniously into the Artek range but also cross borders and tell a story of their own. The result is a series of useful and versatile small furniture objects for the entrance area called Kiila (Finnish for wedge). As well as a bench and a hall stand, the coat rack also belongs to the collection and comes into its own in the hallway. Heavy coats, jackets, hats, scarves and bags find their place on the filigree clothes rack without disturbing its balance. Towels and other utensils can also be hung in the bathroom. 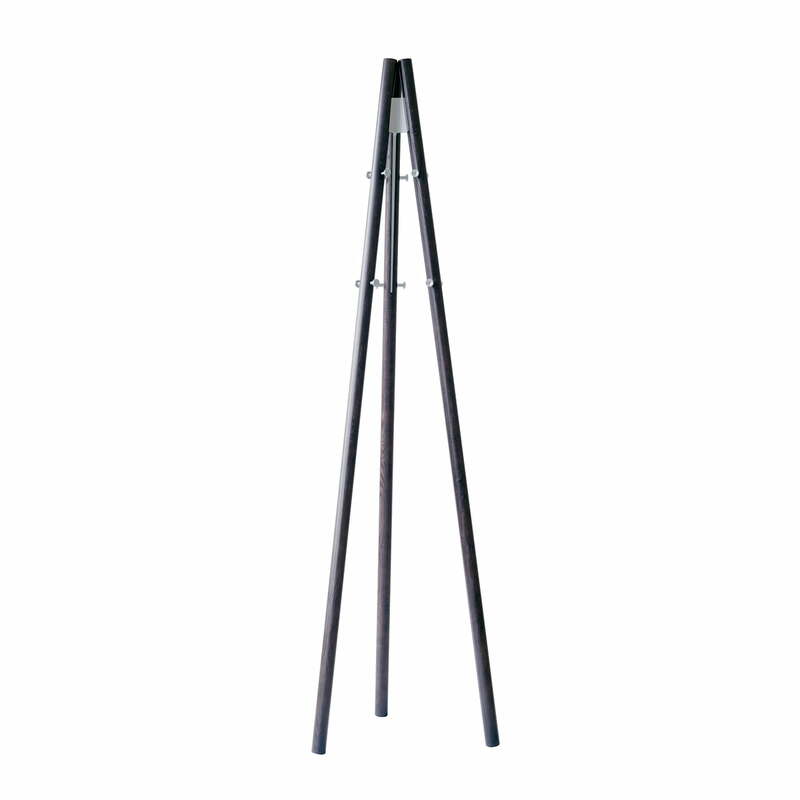 The construction resembles a tripod and consists of a wedge-shaped, powder-coated metal joint on which three slim ash wood legs are mounted. They are screwed together with metal pins which protrude slightly and thus also serve as coat hooks. Rybakken has deliberately made all elements of the construction visible, creating a transparent design that keeps nothing hidden from the user. Rybakken's work can be understood as a homage to the famous Finnish designer Alvar Aalto and the often recognisable originality in his designs. Thanks to the clever production approach, all products of the Kiila family can be packed flat and thus integrate perfectly into the Artek collection. Isolated product image of the Artek - Kiila Clothes rack, black ash / black. 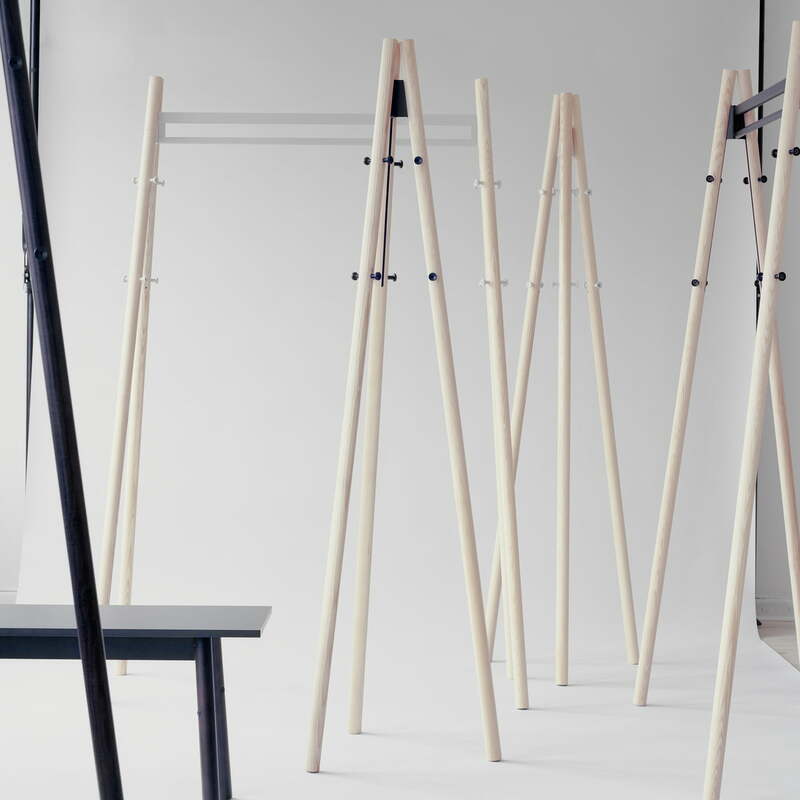 The Kiila coat rack is a design by Daniel Rybakken for the Finnish manufacturer Artek. 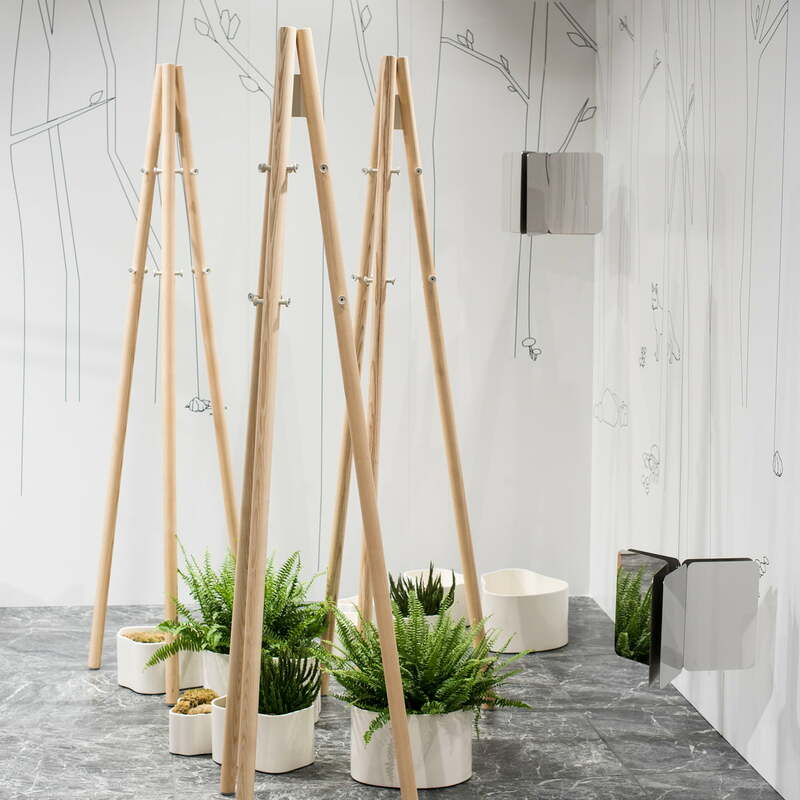 The three-legged coat rack is made of ash wood and has additional hooks for hanging jackets or towels. 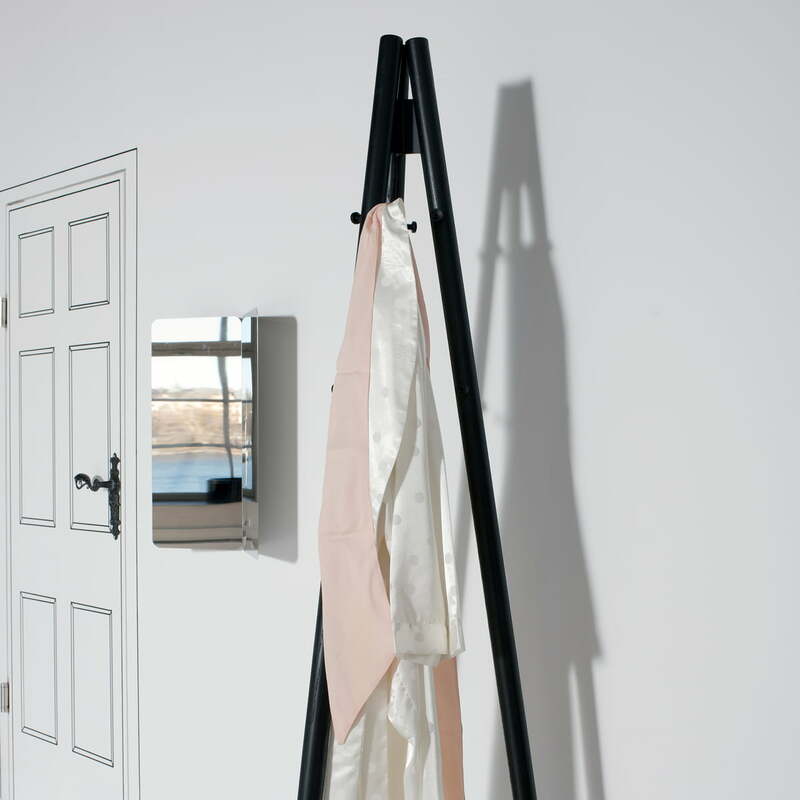 Detail product image of the Artek - Kiila clothes rack. A wedge in the middle holds the three wooden legs firmly together and serves as the basis of the whole construction. 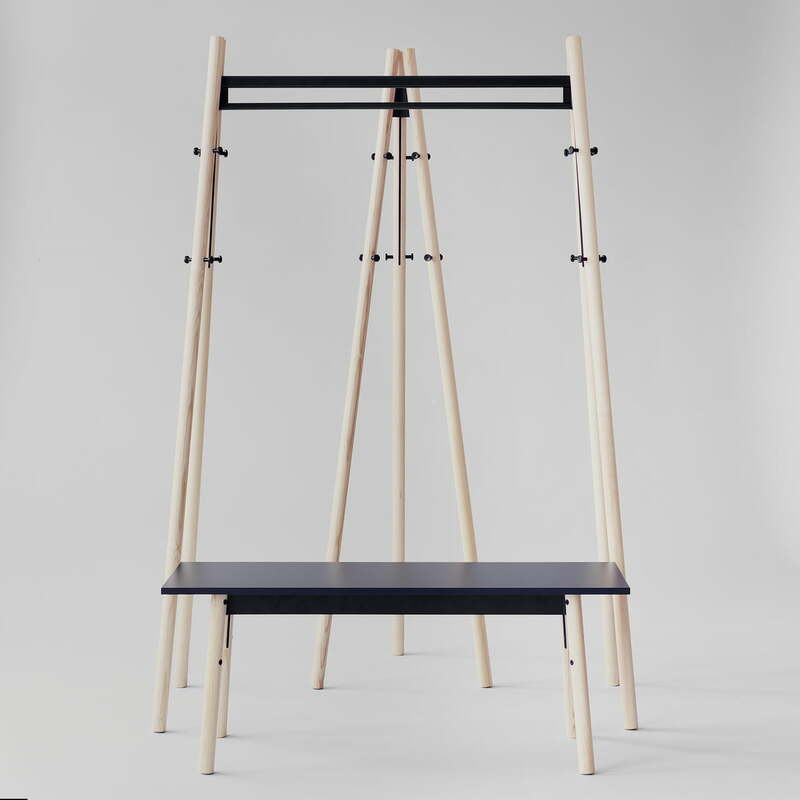 Situation product image of the Artek - Kiila clothes rack. Rybakken has deliberately made all elements of the construction visible, creating a transparent design that keeps nothing hidden from the user. 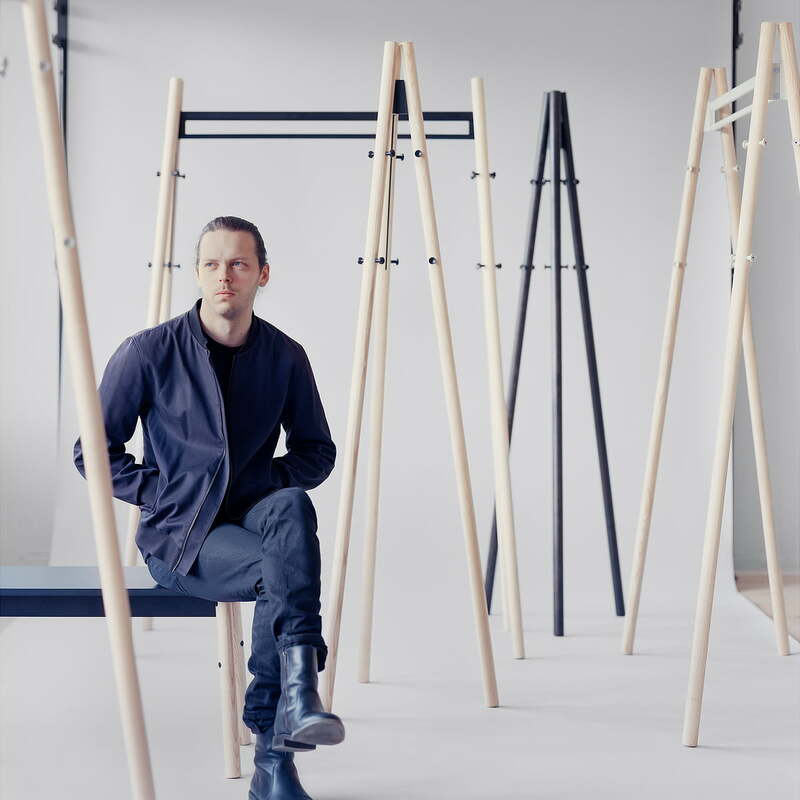 Group product image of the Artek - Kiila coat rack, clothes stand and bench. The products of the Kiila family are available in ash wood in various finishes. Lifestyle product image of the Kiila hall stand. With Kiila, designer Daniel Rybakken has created furniture objects that are ideal for the entrance area. 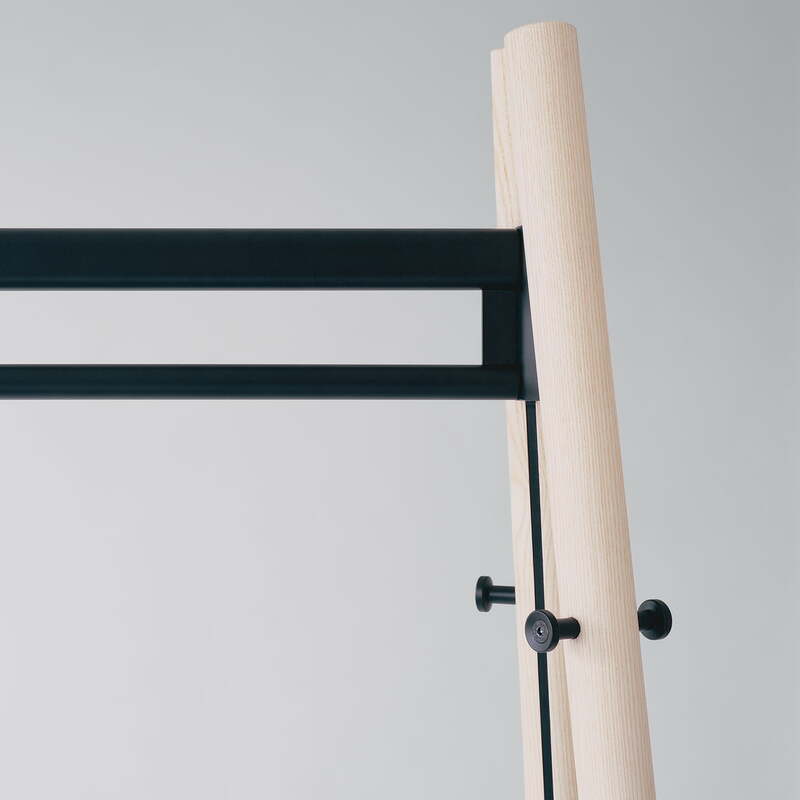 Detail product image of the Artek - Kiila hall stand. The two pairs of legs are connected by an angular metal rail, which provides a wonderfully exciting contrast to the softly shaped wooden legs. 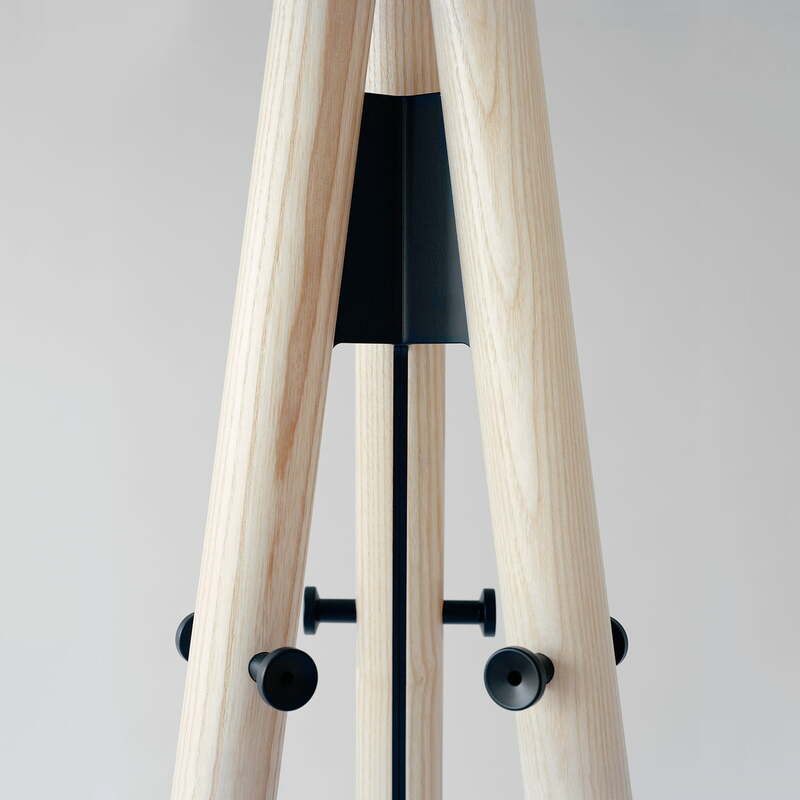 Detail product image of the Artek - Kiila clothes rack. The construction resembles a tripod and consists of a wedge-shaped, powder-coated metal joint on which three slim ash wood legs are mounted.